송소 권우(1552∼1590)의 후손들이 사는 종택으로 조선 후기에 지었다. 권우가 지은 저택이라고 전하였지만 안대청 대들보에 순조 24년(1824)에 다시 지었다는 기록이 발견되었다. 전형적인 재사(齋舍)의 형식을 지녔는데도 뒷산에 사당이 있는 이유는 이 집이 종가의 살림집으로 사용되었기 때문이다. 원래는 제사를 위한 정침이 마을 가운데에 있었는데, 이 종택이 지어진 후 어느 시기에 그 기능을 이곳으로 옮긴 듯하다. 이 집에 ‘이계재사록’이 전해 내려오는 것으로 보아 원래 집 이름이 ‘이계재사’였던 것으로 보인다. 一자형 안채와 ㄷ자형 아래채가 마주하며 튼 ㅁ자형을 이루었고 트인 부분은 담장을 쌓아서 막았다. 집 아래쪽에는 문중에서 지은 서당인 ‘이계서당’이 있다. 이러한 재사형 집을 종가로 사용하는 경우는 특별한 계기와 규범상의 문제가 있었을 것이라는 점에서 규명이 필요하다. 또한 집을 지을 당시의 용도가 주택이었는지 재사였는지 밝히는 연구가 좀 더 필요한 흥미있는 건물이다. 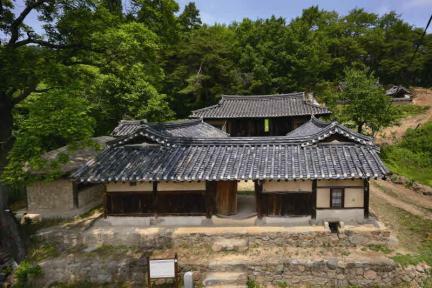 As the head house where the descendants of "Songso" Gwon Wu (1552-1590) live, this house was built during the late Joseon Dynasty. 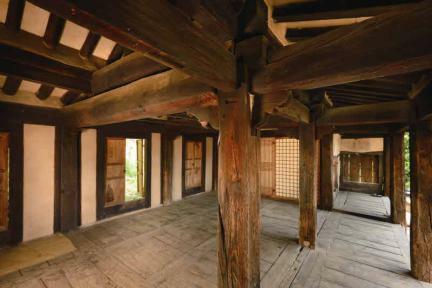 Legend has it that Gwon Wu built this house; according to the record written on the main crossbeam of the daecheong (main wooden floor) in the anchae (women’s quarters), however, this house was rebuilt in the 24th year of the reign of King Sunjo (1824) of the Joseon Dynasty. 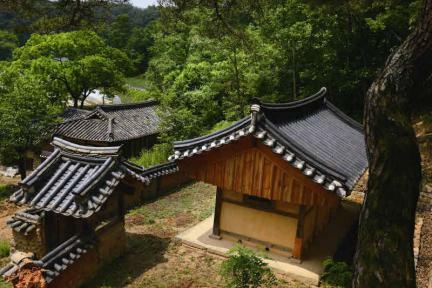 Although it takes on the typical form of a ritual house, it has a separate shrine on the hill at the back of the house because it was used as a housekeeping building of the head house. Originally, there used to be a ritual hall at the center of the village; after this head house was built, however, the function of holding rituals was moved to this building. Based on the records in the book “Igyejaesarok,” which has been handed down to this family, this house seems to have been named "Igyejaesa" originally. 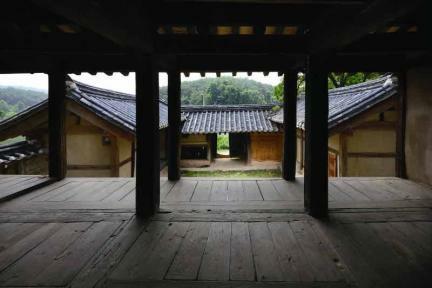 The “ㅡ”-shaped anchae (women’s quarters) and square bracket-shaped outer wing near the gate are facing each other, forming an overall open “□”-shaped layout with a fence to enclose the open area. A little further is the Igyeseodang Village School built by the family. 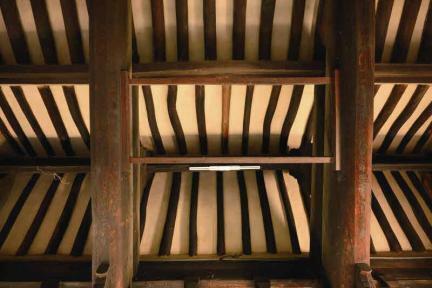 There might have been a special occasion or some normative reasons for using such ritual building as a residential house; hence the need for research on this house to investigate whether this building was built as a home or a ritual building. ※ Viewing of the cultural property above is usually available anytime but may be limited depending on the owner’s personal circumstances.